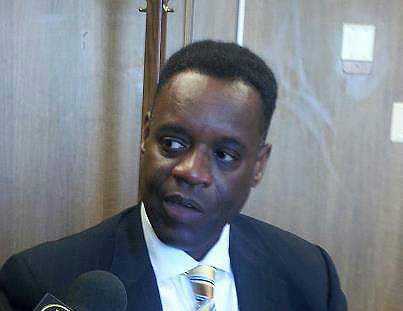 Kevyn Orr is expected to resign tomorrow after signing the order sealing Detroit’s bankruptcy. And Detroit News business columnist Daniel Howes says Orr was judicious about wielding the power he had. Howes is a regular guest on Stateside. He told host Lester Graham that Orr could have stripped pay and power from Detroit’s mayor and City Council, and could have been more aggressive about extracting concessions from the city’s unions in bankruptcy court. But Howes says Orr understood he needed partners, so he showed restraint in his dealings with those key constituencies. Howes cites as an example Joe Louis Arena, which got as an investor one of the city’s creditors as part of the bankruptcy settlements. The assets – Joe Louis, the Detroit Institute of Arts, Belle Isle – are all still there for residents. The only thing that’s changed, says Howes, is that they don’t carry as many financial obligations for the city as they did before bankruptcy. Click on the link above to hear Howes discuss Orr, his critics, and the bankruptcy.